Sometimes projects are larger then a shops capacity. Especially when it comes to the install. Let us be part of your build, by booking our experienced Team of Timber famers and Carpenters. We specialize in large projects, to ensure an on time completion. 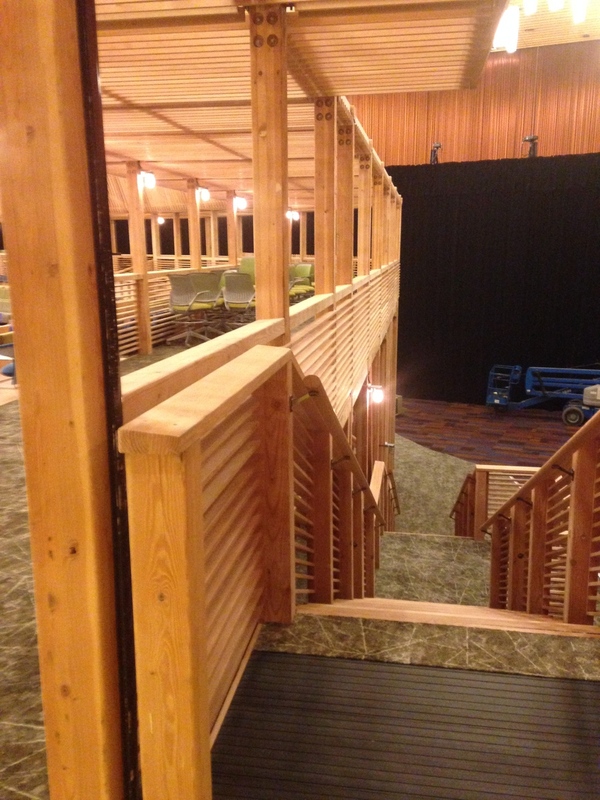 install of a temporary wooden theatre, with a 1200 people seating capacity. cascadianwoodtech - we are a young, dynamic company located in Comox BC, in the heart of Vancouver Island. As a company with and incredible passion for woodwork, there's no project to small or complex. We love to be challenged and transforming your ideas into reality. Contact us today for your next project, such as: Interior doors, exterior doors, Timber frame accents, timber frame structures, stairs, railings, kitchens, sideboards, Entertainment Units, general Millwork, general Timberframing, custom design, 3D design, whole housdraftings etc. We are ready for you and your ideas!